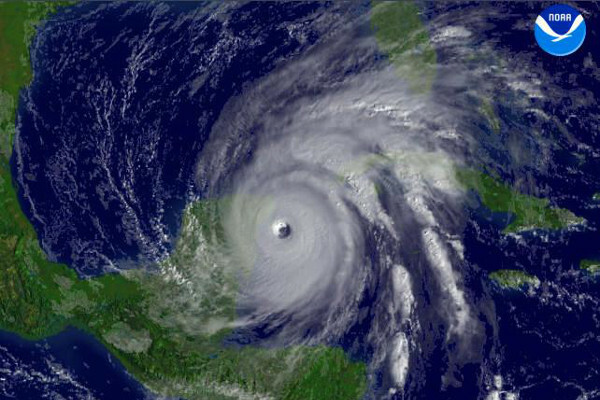 Hurricane season in the Atlantic beings June 1st and ends November 30th, however, most hurricanes occur August through October. The chances that a hurricane will hit during your vacation are very low. 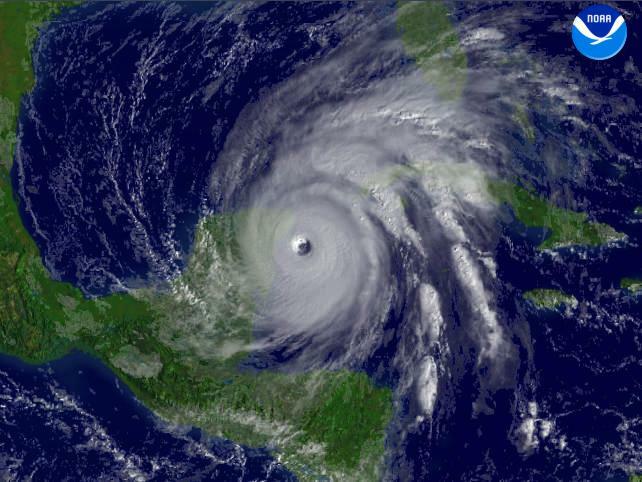 Cancun has only been hit by two major hurricanes: Gilbert on September 15, 1988 and Wilma on October 21, 2005. They were 17 years apart! Winter, Spring, Summer, Fall…it can rain anytime in Cancun, but rain in the forecast often means a passing shower, or it might rain in Playa del Carmen, but be sunny in Cancun. If it does happen to rain during your vacation, don’t despair! There are still a lot of fun things to do on a rainy day in Cancún, Playa del Carmen and the Riviera Maya. No matter what the weather, remember, you are on vacation and you can relax and you don’t have to go to work…enjoy yourself…and if you don’t like the weather, don't worry, wait five minutes and it will change! 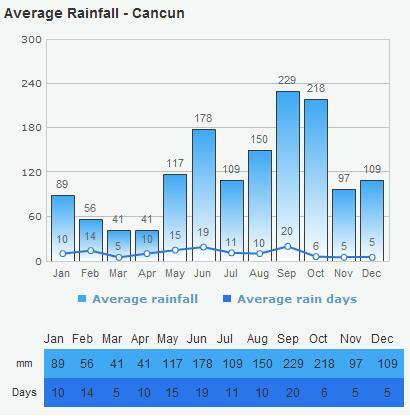 Which is the hottest month in Cancun? Which month gets the most rainfall? and September gets the most rainfall! 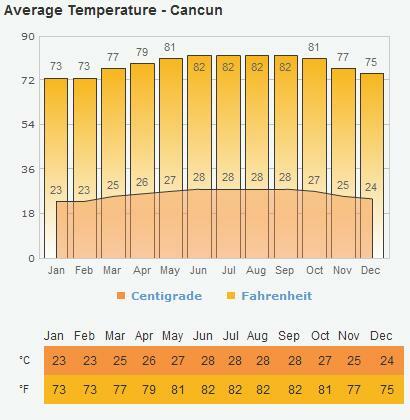 Which is the hottest month in Cancun?? July is the hottest. hottest month would be a tie. june,july ,august and september. Best Month to go is ANY MONTH!!!!!!! July is the hottest month and September the rainiest. July is the hottest and September the rainiest. Though I typically ended up fainting once a year from the heat in May! I think I was more accustomed by July. Which is the hottest month in Cancun?? July is the hottest month! Hottest is July and most rain is September! Hottest month is typically July, but June thru September is often just as hot! Highest rainfall is in September.